Achieve voluminous, bouncy and lustrous hair like never before with this revolutionary hair dryer. 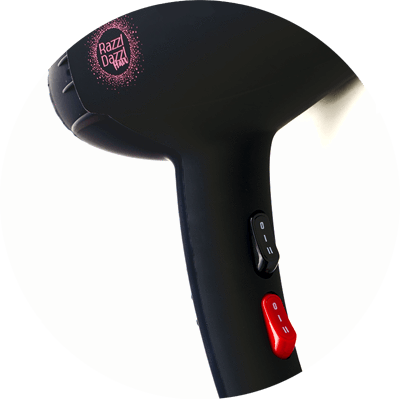 The supreme quality heavy duty motor saves you time by drying your hair up to 80% faster. Giving yourself a stupendous blow-dry has never been easier! AC Motor / 2300 Watts. Removable filter / Nozzle in 2 sizes. LED light generates ion and provides antimicrobial properties. Durable motor with lifespan of over 1000 hours. Handcrafted exclusively for Razzl Dazzl Hair. Innovative and luxurious, Razzl Dazzl Hair aspires to redefine the aesthetics of everyday hair. Our do-it-yourself approach encourages you to skip the pricey salon appointments and style your hair like a pro-everyday. Giving yourself a stupendous & voluminous blow dry has never been easier! 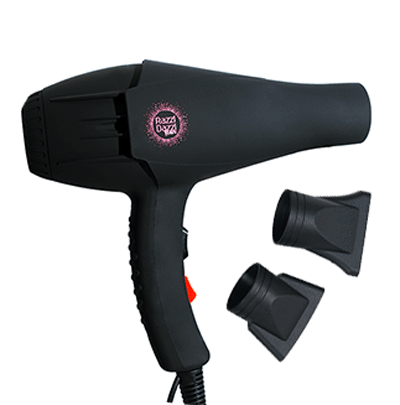 Powerful 3200W hair dryer comes with 2 speed and 3 temprature setting. 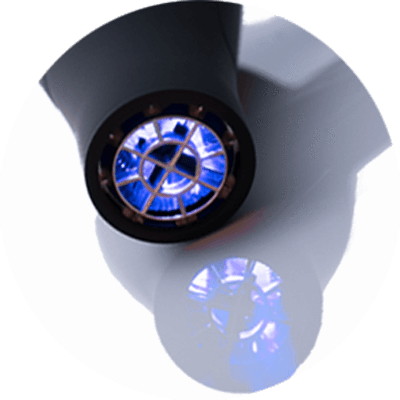 Comes with two types of nozzles for concentrated heat and precise styling.